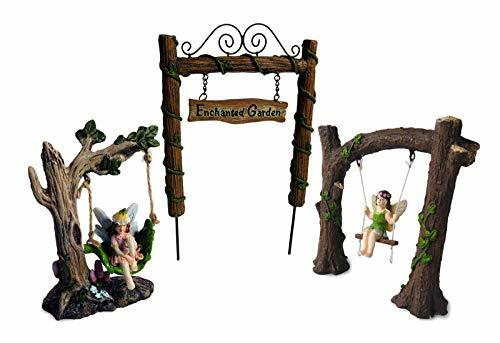 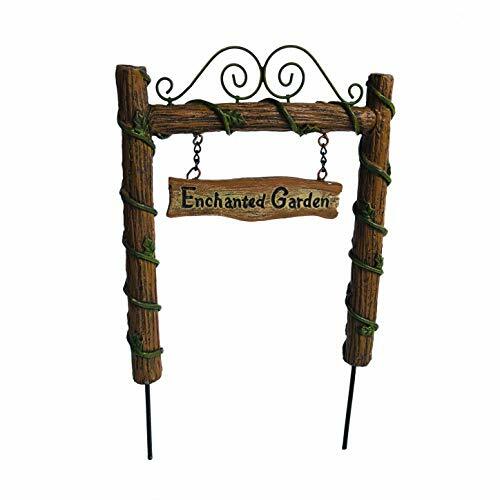 3 PIECE FAIRY GARDEN FIGURINES: Kit Includes 1 Fairy on Leaf Swing, 1 Fairy on Wood Swing and 1 Enchanted Garden Sign Swinging from Ornate Garden Arbor. 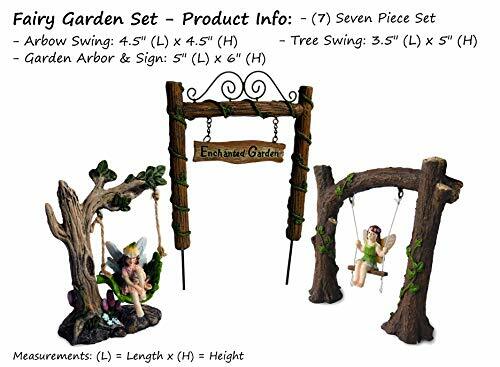 STEP INTO YOUR ENCHANTED GARDEN: This fairy garden kit instantly sets the stage for your fairy garden collections. 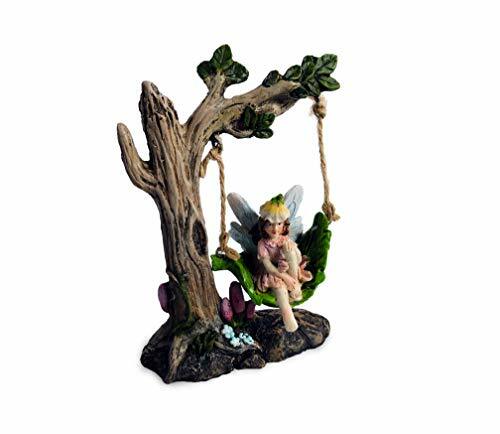 Fairy Accessories can be placed in separate potted plants or grouped together to create elaborate scenes. 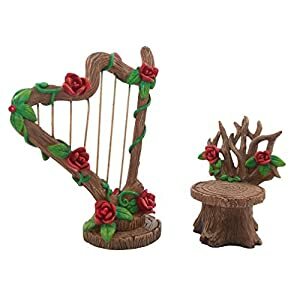 INDOOR OR OUTDOOR MINI GARDENS: Made of sturdy poly-resin material to withstand outdoor weather conditions. 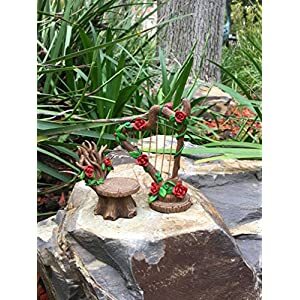 Create mini outdoor gardens. 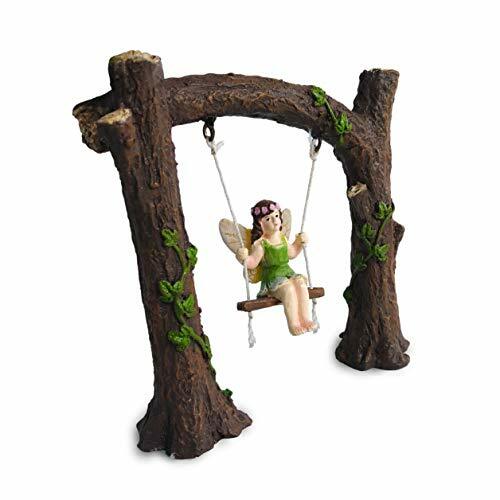 ORDER RISK FREE: Thanks to our Parva Products 100% Satisfaction Guarantee. 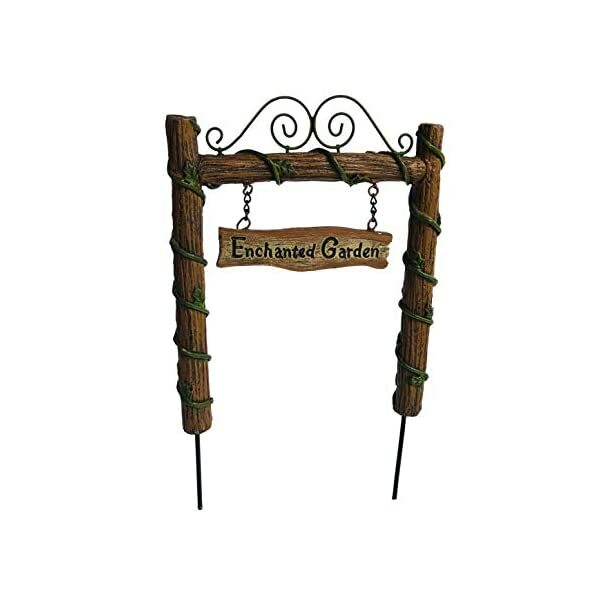 We have unbeatable customer service! 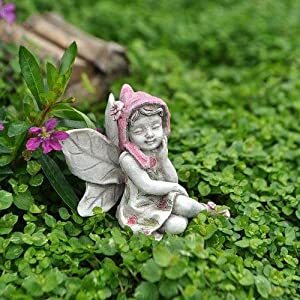 CREATE MAGICAL MOMENTS: Fairy Gardening is a Great Hobby to Do With Your Kids. 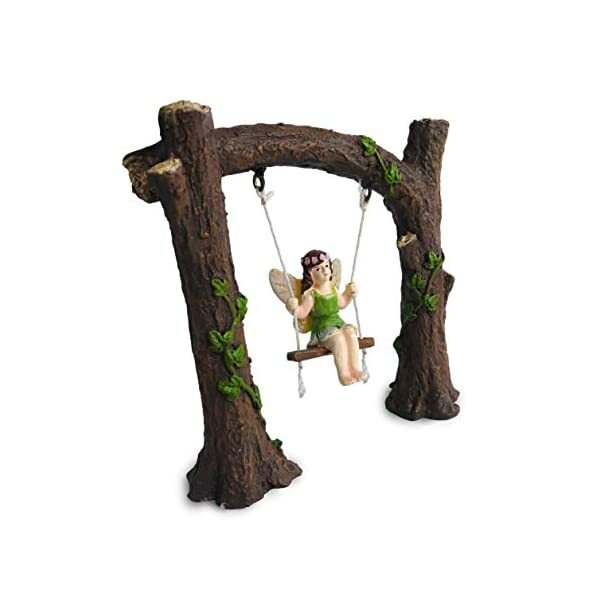 Magical Moments are Created With Your Children or Grandchildren in the World of Fairies.